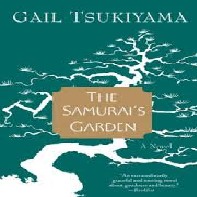 Analysis of The Samurais Garden Novel by Tsukiyama Write a minimum three-page analysis of The Samurai’s Garden. Please use examples and quotes ( At least 5 and please put the book page number ) from her novel. Thesis statement can be theme(s), analogies, character (s), comparison/contrast, or classification/division. All thesis support/ examples/ evidence must come from the novel. Please write 5 paragraphs for this essay. Reading fiction is not my thing. Sure, a good fictional work is often more than good. For me, this almost always means that the book isn’t just a good story, but is using the story to ask us a bigger philosophical question, or impart a greater truth of life to us (I’m thinking here of books like Orwell’s 1984, Kerouac’s Dharma Bums, even Dostoevsky’s Brothers Karamozov– that’s my kind of fiction!). In this same vein, there’s Gail Tsukiyama’s The Samurai’s Garden.